SARASOTA (WWSB) - It’s seeming more like Summer lately here along the Suncoast. The high on Thursday was 88 degrees at the Sarasota/Bradenton airport, just 2 degrees shy of a record. We can expect another day on Friday with temperatures soaring into the upper 80s inland and mid 80s near the coast. With the humidity still fairly high it will feel like 90 in most places E. of the interstate. Winds will start out of the SE at 5-10 mph with a west wind developing along the coast in the early afternoon. 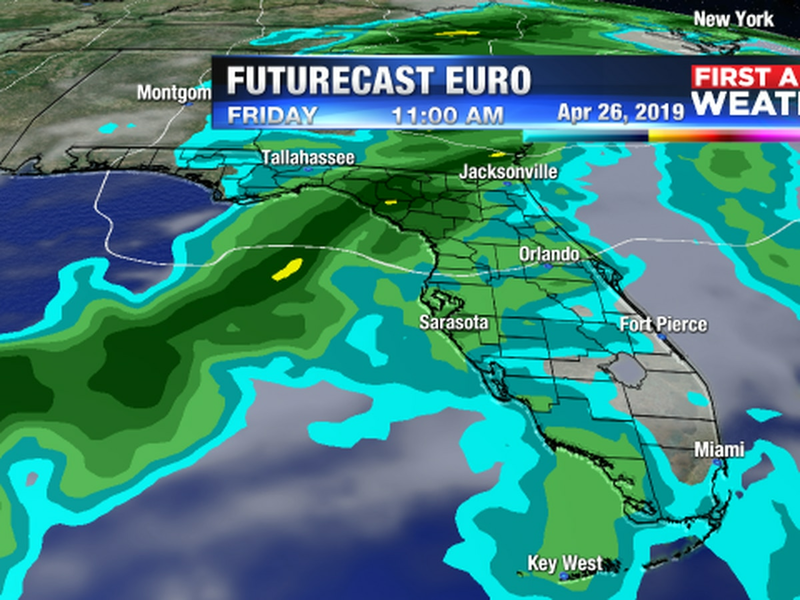 As the sea breeze moves inland we will see a better chance for a few scattered showers and even a possible thunderstorm late in the day. On Saturday a weak cold front moves in bringing a slight chance for a few showers on Saturday morning. Temperatures behind the front will not drop temperatures all that much. In fact highs will still be slightly above average on Saturday and Sunday. Skies should be generally partly cloudy throughout the weekend. The air will be a little drier so it will feel a little milder on both days. Monday temperatures will once again warm up into the mid 80s and the same can be expected on Tuesday. The next cold front is due to arrive later in the day on Tuesday and cool things off quite nicely for the remainder of the workweek next week. 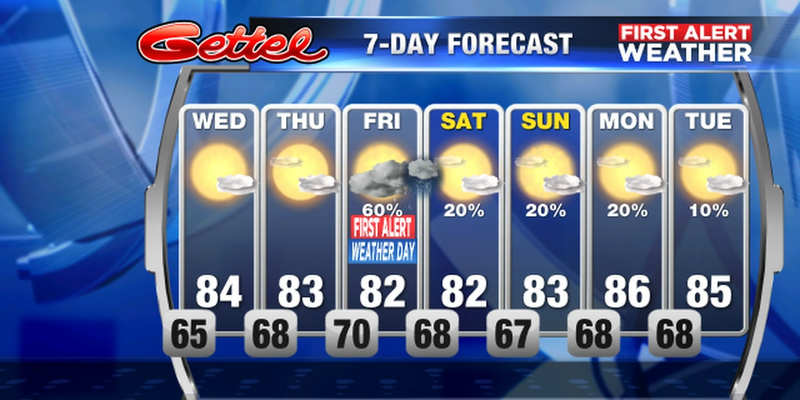 Another warm and mostly sunny day for the Suncoast with highs in the mid 80s. We may see a few extra high clouds in the sky today but we stay rain free. Winds will be light and variable today with winds eventually shifting to the south by tomorrow.